It’s a fact. Good branding opens doors. Good design sells. We provide complete design and branding services for clients, regardless of medium. Our team of creative experts delivers design that’s aesthetically pleasing and conveys the right message to the right target audience. Our branding work promotes your unique selling proposition and establishes your position in the marketplace. 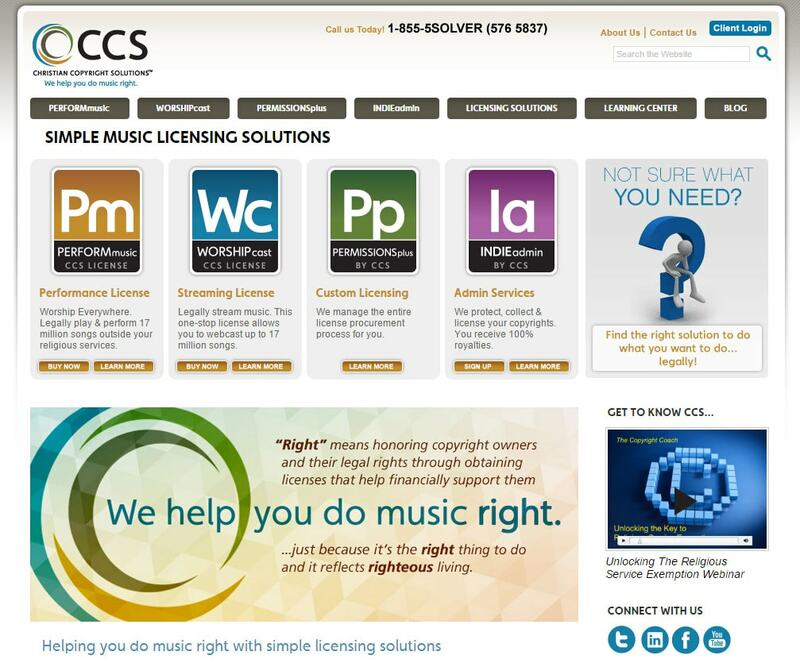 For Church Copyright Administration, it was time for a change. 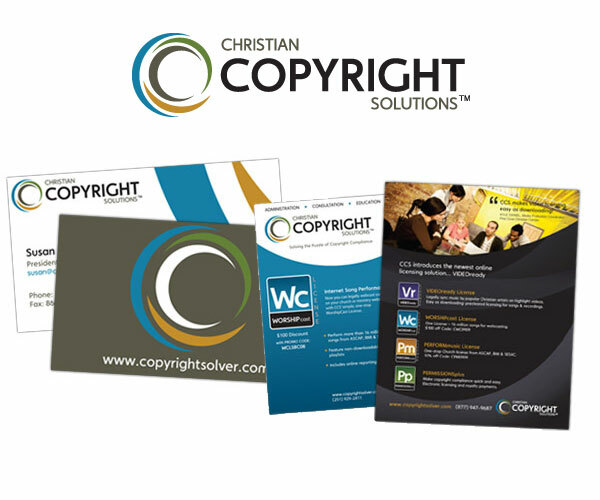 With a new name and a new brand, Christian Copyright Solutions has garnered industry attention and increased sales by 60%. We provide complete design and branding services.